It's hard to believe that my first full calendar year of blogging has come to an end. It feels like I've been both doing this forever and that I'm brand new to the game all at the same time, if that's possible! 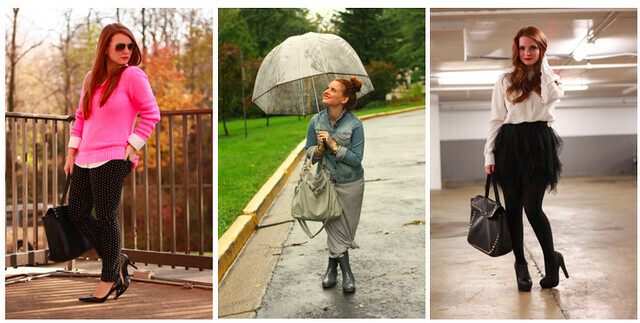 And since we're heading into 2013, I wanted to share some of my favorite looks from the past year. 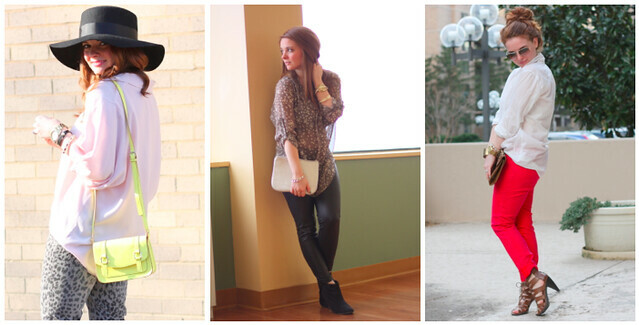 It's definitely fun to reminisce about the outfits themselves and the trends I was obsessing over at the time. 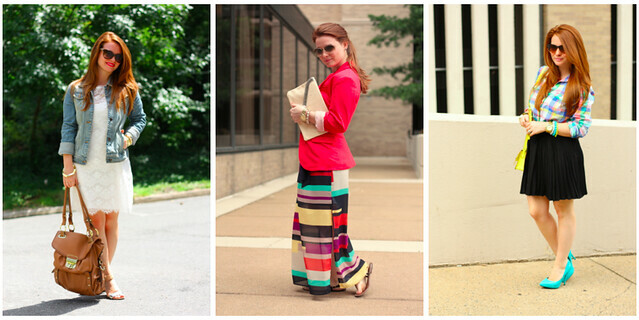 It's clear that I kicked off the 2012 by rocking lots of neon, as evidenced by my maxi skirt and ombré blazer. 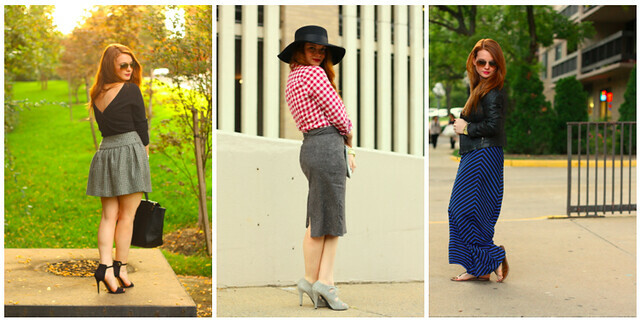 It's also fun to remember the day that I wore some of these looks, as many were huge milestones for me. My "Sequins at Lincoln Center" post, for example, is one of my favorites solely because it was taken during my first ever Fashion Week - something I had only dreamed about until this past September. I'm amazed at how much my style has changed in the course of a year and how different I think I look. 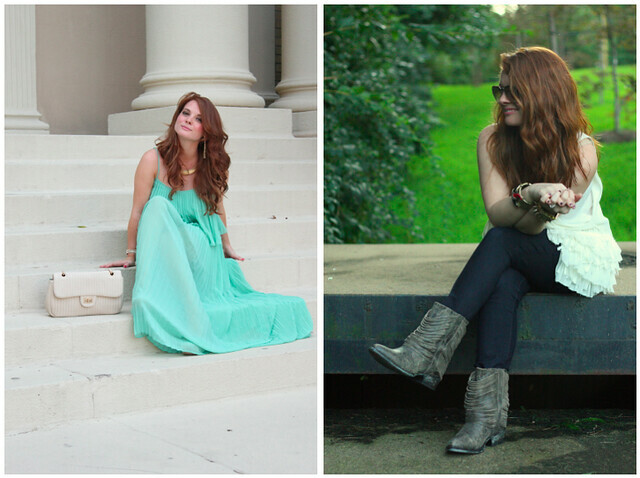 I definitely feel like I've grown up a bit here on the blog and it's kind of a fun way to document that. And, of course, I'd be remiss if I didn't say how thankful I am for all your support. I'm so glad to have you with me on my journey of personal sartorial discovery, and I look forward to sharing even more with you in the coming year! Also, a huge thank you to my amazing and supportive husband/photographer as well. I'm so lucky to have someone who's always trying to find ways to improve the quality of my photos and is just as invested as I am in my little hobby of style blogging! I'm taking Monday and Tuesday off, but I'll be back to regularly scheduled programming next Wednesday. Happy New Year, dolls! And cheers to a fabulous 2013! Wow! I can't believe this was your first full calendar year, you've definitely accomplished a lot :) Love getting to look back through all these outfit posts! that lime green skirt is fabulous! loving your 2012 outfits, can't wait to see what you have planned for 2013!